The Spring Summer collection of designer Lara Rosonovsky is a collection that explores a journey of her life lived in her five decades. Her 54-piece collection consisted layers of maturity represented in prints and design - some representing a naive, childhood, devotion and optimism as opposed to periods of mystery, melancholy and maturity. All these layers blended into an eclectic colorful and sporty collection, childish and mature, cheerful and dark full of contradictions and colorful and periodic cultural clashes. The collection is ready to wear and filled with the joy and lightness Lara is known for. Inspired by the deep waters of the ocean, the brand Bamoss Sqaure - the leading men's suits brand, presents their Spring Summer 2019 collection at Tel Aviv Fashion Week. Among many of the models in the show: Barak Shamir, Roi Kornblum, Yanai Frischer Gutman, Tom Aviv and of course the first Hasidic model: Melech Zilbershag. The inspiration for the colors was taken in three main layers of depth, while moving from the water line to the seabed and its wonders. The colors of the parrot fish in pastel colors are enhanced by purple, green and pink and the deep metallic colors used in dark colors such as black and blue deep. 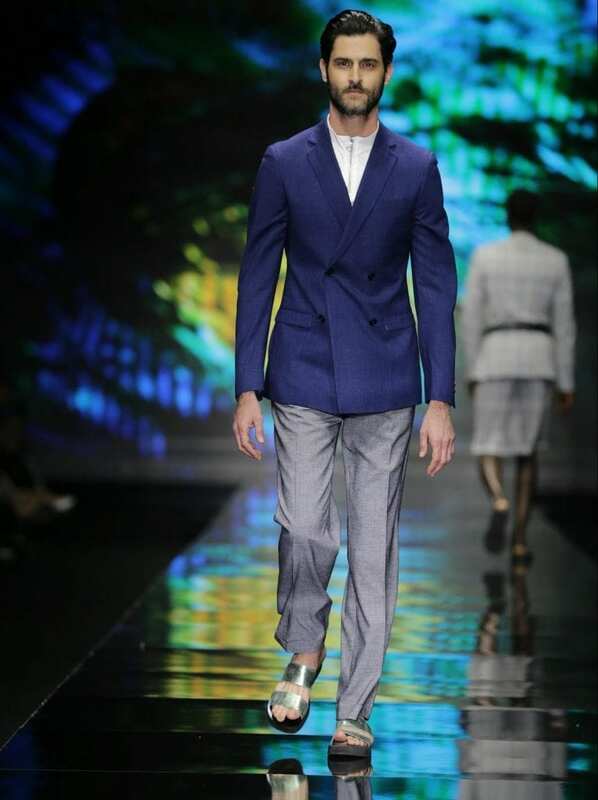 This season, the designers chose to stretch the boundaries of the classic suit and give the Israeli man a wide range of bold and unusual colors and boldness, along with tendentious prints and textures. The use of transparency symbolizes the insensitivity and is willing to release the Israeli man from wearing the suit as a human shield - stiff". The goal is to make the "intimidating" suit more accessible, so that the man will feel comfortable walking around and complement each other. Available at the branches of the brand: Hay Bayer 22 Kikar Hamedina Tel Aviv, Levinsky 79, Tel Aviv, HaHaroshet 10, Haifa. 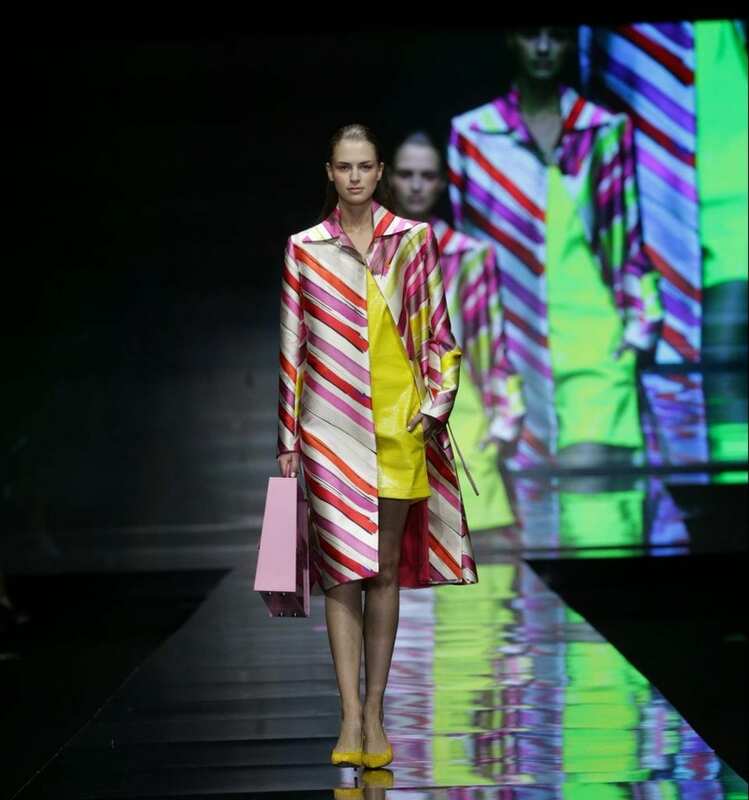 Inspired by trips by Dror to Cuba to Spain and other colorful and exotic destinations, designer Dror Contanto presented the Latin-style 2019 Summer Collection on the Tel Aviv Fashion Week. As part of this new collection and Dror made special efforts to introduce a range of sizes and new designs in the fashion week. Pushing the plus size focus, you could sense Dror combining his vision and his role in the fashion community and stretching it to the limit. Konetento’s collection was vibrant, professional and brought us lots of color on the runway, lots of power of cloth combined with frills and colorful handcrafted Swarovski stones and crystals that handpicked and applied by the designer. Dror Kontento, became famous for designing the famous red carpet dress for Sarah Miri Regev, shortly becoming the designer of year. Among his clients: Michal Ansky, Dana Frieder, Simcha Gueta, Ray Segev, Neta Barzilai, Lina Dance, Luna Mansur, Einav Bublil, Lihi Griner, Teonia Rubel, Shani and Moran Atias, Nicole Raidman and many others. The RESORT 2019 collection by the high fashion designer Shay Shalom was characterized by intense colors, moving on the axis between yellow, pink, turquoise, orange, green, and warm Bordeaux colors alongside pure cream. Whilst layered we saw material lightness, and far from touching the contour of the body, circles in the waist belts, some sculptural, constructive, yet still relaxed and completely free. Some of the prints were characterized by strong color strokes, some smooth and uniform, alongside clusters of flowers that are characterized by flowering and renewal. The accessories offered another different layer- Perspex and leather briefcases- they were both transparent and light, expressed in bold colorful leather accents, matching the mood of the entire collection. Similarly, the jackets were a relaxed tailored collection with front ties and summer parka jackets. Shai Shalom expresses his unique design aesthetic in this collection; a supreme combination of couture, classic tailoring and a design concept that moves between the masculine and feminine. For the first time in a couple of years, true to her personal style and under the designer Sharon Tal, Maskit reveals the 2019 collection at Tel Aviv fashion week. The collection tells the story of the spring season, inspired by the national bird, the bird that repeats with loud sounds that characterize its singing. Similarly, we see the color tones and of the exotic flowers and earthiness of this season. The collection also features the familiar attributes of the fashion house - high quality, meticulous finishes, hand-made tissues, all focusing on local and authentic connection to time and place. The collection consists of impressive evening items, eclectic cocktail dresses, as well as ready to wear, more casual items. This collection celebrated the design houses 65th birthday, and so it was fitting that we also saw the house’s iconic X hand-knitting which adorned the desert toned jackets and coats. An ode to the cover story of the fashion house "Maskit" in the American magazine VOGUE in 1969. 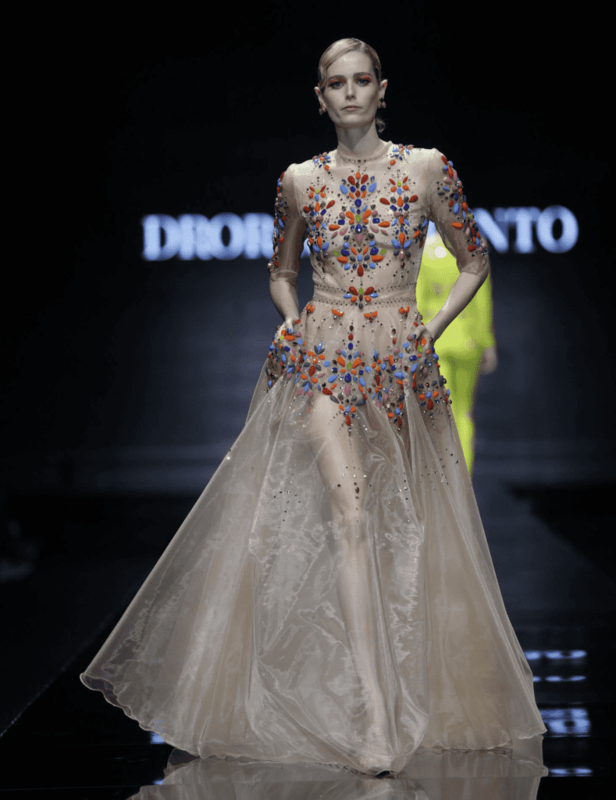 On the runway, we also saw beautiful, hand-painted evening dresses and display in monochromatic colors the moving look of nature, along with hand-woven embroidery and embroidery on a variety of silk fabrics and chiffon. There was also the use of a unique cashmere fabric especially woven for the fashion-inspired by the fabrics manufactured by the fashion house in 1964 in their textile factories. Esteemed fashion designer Victor Bellaish (commonly known as Vivi), presents his Spring Summer 2019 collection, a collection whose inspiration was born in the 1940s: the post-World War II era, a revolution of strong women in a new world, the growth of a new culture and revolutions born of destruction and apocalypse. Soft silks and couture are combined with elements athle-leisure, the army, and antique, and become a new and cohesive collection that combines femininity and masculinity, between longing for new beginnings and between past and future. Thoughts of nostalgia, passion and desire led to the creation of Bellaish's collection, whose world of inspiration ranges from nostalgia to the desire to preserve Couture's traditional work, in a world moving rapidly between present and future, analogue and digital. Bellaish's favorite silk and linen fabrics are joined by new materials such as nylon, ceramics, denim, and cotton drill. The diverse materiality allowed for the creation of sculpted items such as jackets and trousers, along with airy dresses and structured details. The color of the collection opens in dramatic black and moves to shades of coral to pink salmon, sweet pink, and beige, and finally to a clean palette of white. 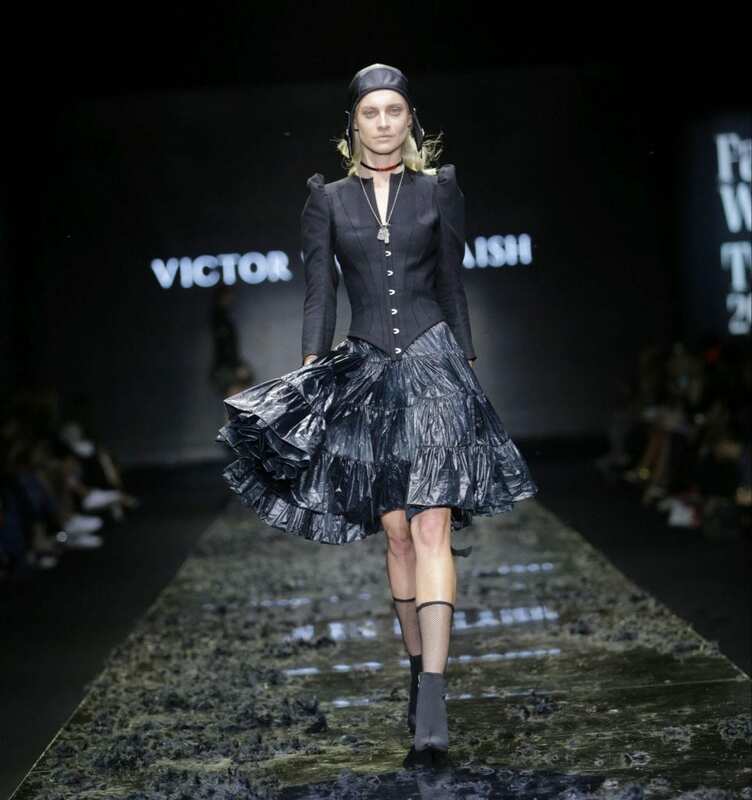 Victor Bellaish, a leading fashion designer in Israel, previously worked as chief designer for Roberto Cavalli and 13 years ago founded the brand bearing his name. Bellaish’s dresses popular amongst the red carpet, worn by many stars including Yael Abecassis, Shlomit Malka, Noam Frost, Yuval Sherf and others. All items can purchased at the designer's studio: Victor Bellaish - Tirza 17, Tel Aviv. 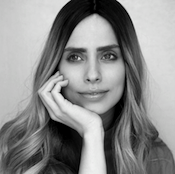 For more of Gili Lewenstien’s commentary or inquiries into her styling or production services or Dossit Girl content follow the links here.